The championship-leading duo of Jordan Taylor and Renger van der Zande and the No. 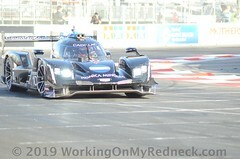 10 Konica Minolta Cadillac DPi-V.R team hit the seaside streets of Long Beach, California, looking to start a couple of new winning streaks during Saturday’s opening sprint race of the 2019 IMSA WeatherTech SportsCar Championship season, the Bubba Burger Sports Car Grand Prix. Taylor, van der Zande and their new third endurance co-driver Matthieu Vaxivière of France came within 1.030 seconds of the team’s third consecutive victory when they had to settle for a runner-up finish at last month’s Mobil 1 Twelve Hours of Sebring. That margin of victory by the No. 31 Action Express Racing Cadillac DPi-V.R team represented the closest finish in the 67-year history of the Sebring endurance marathon, and it ended the No. 10 Konica Minolta Cadillac DPi-V.R team’s run of consecutive victories at last year’s season-ending Petit Le Mans at Road Atlanta and this year’s season-opening Rolex 24 At Daytona. Still, Taylor and van der Zande arrive in Long Beach with a share of the points lead thanks to the Daytona victory they co-drove to with Formula One veteran Fernando Alonso and former Formula One and current FIA World Endurance Championship regular Kamui Kobayashi, and the runner-up finish at Sebring. They are tied atop the championship with the No. 31 Action Express team, the Rolex 24 runner-up, with the No. 7 Team Penske entry third in the standings, eight points back. A year ago this weekend, Taylor and van der Zande co-drove to a third-place finish on the 1.97-mile, 11-turn temporary street course that was the team’s fifth consecutive Long Beach podium finish. Sandwiched between last year’s third-place finish and the runner-up finish by Taylor and his older brother Ricky Taylor in 2014 was a remarkable three consecutive Long Beach victories by the Taylor brothers from 2015 to 2017. During that three-year run of dominance, featuring wins from the pole in 2015 and 2017 and from the outside-front-row starting position in 2016, the Konica Minolta team led 183 of 216 laps – 84.7 percent. Riding the momentum of three consecutive top-two finishes and banking on the team’s success on what is arguably its most successful event, Taylor and van der Zande certainly have every reason to be optimistic a pair of new winning streaks can start this weekend. Practice for the Bubba Burger Sports Car Grand Prix begins at 10:40 a.m. EDT Friday with DPi-class qualifying set for 9 p.m. Race time for Saturday’s one-hour, 40-minute event is 5:05 p.m. with live television set for NBCSN beginning at 4:30 p.m. Friday qualifying will be streamed live on IMSAtv.com and the IMSA Mobile App beginning at 8:30 p.m. Live timing and scoring during all on-track sessions is available at IMSA.com and via the IMSA smartphone app. After 36 hours of racing to start the season, you head to Long Beach for a one-hour, 40-minute sprint for the first time this season. Talk about how differently you have to approach things while attacking a short weekend and a sprint race. The team has been extremely successful at Long Beach since it started racing there in 2014. What are some of your favorite memories of your races at Long Beach? How do you like the Long Beach event, in general, and what are some of the reasons you like racing there and being in and around Southern California? You’re leading the points and will have the first pit stall. 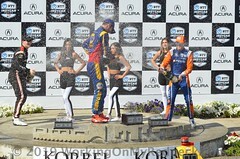 How big of a deal will that be for this race, and what will it take to get back to winning again at Long Beach? “I always enjoy the short race weekends. Long Beach is very short, which is more like a sprint race. It’s about being super accurate, as it’s a street track, a short race, and because the competition is very tough, especially with the new BoP (Balance of Performance) that came out, which is not in our favor. There is no time to lose in moving forward with the setup during the weekend and you need to position yourself well in the race because it’s short. Your overall thoughts about heading back to Long Beach this weekend? At-Track PR Contact: Laz Denes with True Speed Communication (256-717-8014 or Laz.Denes@TrueSpeedCommunication.com). Event: One-hour, 40-minute IMSA WeatherTech SportsCar Championship race on the Grand Prix of Long Beach (Calif.) Street Circuit (1.97-mile, 11-turn temporary street circuit). Live Broadcast (race time 5:05 p.m. EDT Saturday): NBCSN – 4:30 p.m. Friday qualifying – 8:30 to 9:15 p.m. (DPi class at 9 p.m.) via IMSA.tv and the IMSA mobile app. Click here for Wayne Taylor Racing’s Track Performance History. 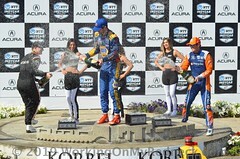 Click here for Wayne Taylor Racing’s 2019 IMSA WeatherTech SportsCar Championship Results. Mechanics/Crew: Derrick Barnes (Indianapolis), Levi Beasley (Indianapolis), Frank Camacho (Long Beach, Calif.), Chad Hurst (Speedway, Ind. ), Brett Knostman (Orange, Calif.), Michael Langston (Pearl, Miss. ), Hali Money (Brownsburg, Ind. ), Bill Mullen (Hamilton, Ohio), Chris Seaman (Hamburg, Pa.), Chris Sheffer (Mission Viejo, Calif.), Keith Stein (Highland, Ind. ), Evan Thompson (Brownsburg, Ind. ), Nicholas Voils (Indianapolis). Dallara Chassis: Carbon fiber monocoque with aluminum honeycomb and Zylon side panels. Carbon fiber bodywork with Kevlar panel inserts. Cadillac Engine: Cadillac V-Performance-based 5.5-liter V-8 with production-based aluminum block and heads. Earnhardt-Childress Racing-designed, semi-stressed engine mounting system with integral oil lubrication. Lubrication: self-contained dry sump system. Dynamic pressure (ram-air) intake system with IMSA-mandated sonic air restrictors. Rear-facing, top-exit, dual-outlet, multi-branch exhaust header system. Produces approximately 580 horsepower at 7,050 rpm (IMSA mandated power level). Fuel Capacity: 18.49 gallons (70 liters). Bosch Engine Management: MS5.0 ECU, C60 data logger, traction control. Power: IPS48, SSR300A, RLU, RSP20. Gentex Rear-View Camera: GNTX-R, Rear-Camera Mirror. Cosworth Steering Wheel: CCW Mk2, paddle shift, 4.5-inch TFT LCD. Tilton Clutch: 5.5 Carbon Disc. XTRAC Gearbox: P1159F, transverse sequential six-speed. KYB Steering: Electrically assisted rack-and-pinion. Suspension: Front/rear double wishbone independent pushrod. Brembo Brakes: Monobloc six-piston light aluminum calipers, carbon fiber discs and pads. Weight/Length/Width/Height: 2,050 pounds (930 kg)/15.58 feet (187 inches)/6.23 feet (74.8 inches)/3.78 feet (45.3 inches). Motegi Racing Wheels: Forged AL6061-T6 rims. Front 18.0 inches x 12.5 inches; rear 18.0 inches x 13.0 inches. Michelin Tires: Front 300/680-R18; rear 310/710-R18. Round three of the 2019 IMSA WeatherTech SportsCar Championship takes the No. 10 Konica Minolta Cadillac DPi-V.R driving duo of Jordan Taylor and Renger van der Zande to the historic Grand Prix of Long Beach (Calif.) seaside street circuit for Saturday’s Bubba Burger Sports Car Grand Prix, an event the team won three times in a row from 2015 to 2017 before posting its fifth consecutive podium finish last year. Last year’s race was the first sprint race together for Taylor, who’s in his seventh year as full-time co-driver with the team, and van der Zande, who joined the team last year when Ricky Taylor left after a four-year run co-driving with his younger brother to join theTeam Penske DPi-class effort. 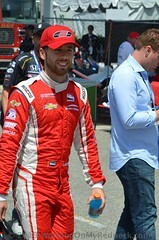 The Taylor brothers and the team won this event from the pole in 2015 and 2017and from the outside-front-row starting position in 2016. They recorded race-high totals of laps led in each win – a total of 183 of 216 possible laps, or 84.7 percent, during their three-year run. The three consecutive Long Beach victories are sandwiched by podium finishes of second by the Taylor brothers from the fifth starting position in 2014 and third last year by Jordan Taylor and van der Zande from the sixth starting position. When the new, combined sportscar series debuted here in 2014, the Taylor brothers qualified fifth and finished second to the Chip Ganassi Racing with Felix Sabates duo of Scott Pruett and Memo Rojas. The team arrives for this year’s event tied for the championship lead after its popular victory at the season-opening Rolex 24 At Daytona in January and last month’s runner-up finish at the Mobil 1 Twelve Hours of Sebring. The No. 10 team is tied atop the standings with the No. 31 Action Express Racing Cadillac DPi-V.R team, which was the Daytona runner-up and Sebring winner. Eight points back in third place is the No. 7 Team Penske entry of Ricky Taylor and Helio Castroneves. The team is opened the season with it second victory in the last three seasons at Daytona, where Formula One veteran Fernando Alonso and former Formula One and current FIA World Endurance Championship (WEC) veteran Kamui Kobayashi joined Taylor and van der Zande in the cockpit. In 2017, Taylor scored the Rolex 24 victory for the team co-driving with his older brother Ricky Taylor, along with veteran Italian Max “The Ax” Angelelli and four-time NASCAR Cup Series champion Jeff Gordon. Last month, Taylor and van der Zande were joined for the first time by third driverMatthieu Vaxivière of France in their trouble-free run at Sebring that netted the team’s third consecutive top-two finish in the 67th running of America’s oldest sportscar endurance marathon. With their victory at last year’s season-ending Petit Le Mans at Road Atlanta, their fourth podium finish of the season, Taylor and van der Zande rallied to finish third in the final 2018 championship standings, seven points out of first, in followup to the team’s 2017 championship. Coincidentally, the No. 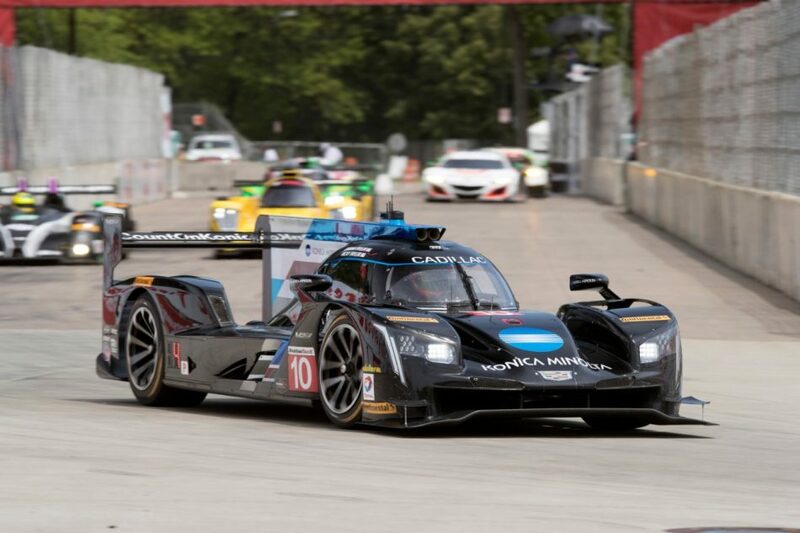 10 Konica Minolta Cadillac DPi-V.R team’s success at Long Beach almost mirrors its success on the series’ only other temporary downtown race course – theStreets of Belle Isle circuit in Detroit – where it has won four times in the last six years. In those Detroit wins by the Taylor brothers in 2014, 2016 and 2017, and by Jordan Taylor and retired Italian veteran Max “The Ax” Angelelli in their 2013 championship season together, the team led 131 of a possible 240 race laps, or 54.5 percent. Five years ago this weekend, the team proudly introduced brand new primary sponsorKonica Minolta Business Solutions U.S.A. at the Long Beach event before bringing home its solid runner-up finish in its first event in Konica Minolta colors on race day. Joining this decade’s most dominant team in the series on temporary street circuits last year put Dutch driving veteran van der Zande in good company. He scored an LMPC-class podium finish at Long Beach in 2016 in the No. 8 Starworks Motorsport entry alongsideAlex Popow. He also won back-to-back LMPC-class events in Detroit with Starworks, co-driving with Popow in 2016 and Mirco Schultis in 2015.